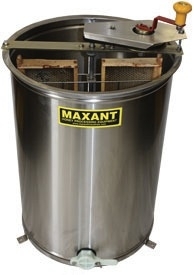 The Maxant 2 Frame Extractor is perfect for the hobby/backyard beekeeper with 1-2 hives! 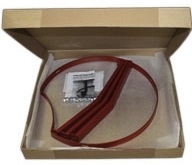 The basket holds 2 medium or shallow frames radially. The tank and basket are made from 100% stainless steel to last a lifetime. 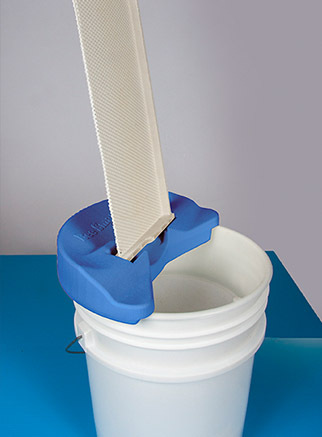 This extractor protects your investment because can be upgraded to a 9-frame hand extractor as your apiary grows. In addition, you can also add a motorized unit in the future. The extractor is manufactured in Fort Devons, MA. Picked up the two frame extractor with plans of upgrading in a season or two, can't beat the price for the quality. The convienence of hours and location of Hillside make this my go to store for all my bee keeping needs. Keep up the good work Allen!